With The Stat App you can quickly check on the daily sales and revenue for your iOS apps. We’ve created a clean and simple way to see how you’re performing in the App Store. AFNetworking: The best library for accessing We Services. AFHTTPClientLogger: useful tool that debugs all AFNetworking calls. MTDates: date library with useful stuff. MPColorTools: library that makes it possible to use HEX codes and other color stuff. TTTAttributedLabel: use tekst with links, fonts, colors in a label. NoticeView: Tweetbot style error message panels. DescriptionFinally, a nice & simple way to check your App Store stats on the iPhone. 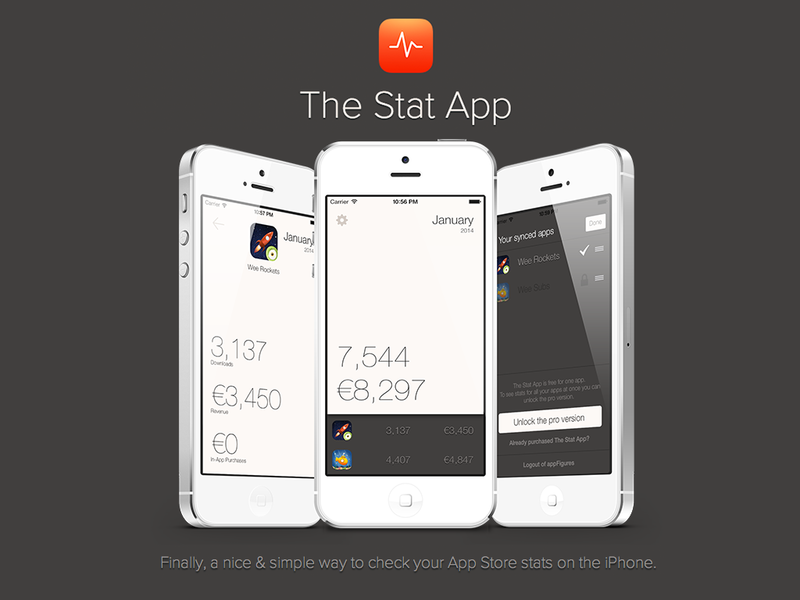 The Stat App allows you to quickly check on the daily sales and revenue for your iOS apps.